Marketing means different things to different people, but do you know the differences of viral, buzz, and word-of-mouth marketing? They’re all powerful ways to get people talking about a brand, but they take unique approaches to accomplishing this goal. To show how each of these marketing methods fits in the promotional puzzle, MarketingTechBlog.com shared their special traits. This marketing move involves staging an event or experience that generates excitement, curiosity, and publicity to provide information to consumers. It’s often something shocking that occurs unexpectedly to bring attention to the brand. That attention should get people talking and writing about the brand, which makes this a powerful PR vehicle. Brands and marketers covet word-of-mouth marketing because it’s the most powerful of advertising strategies. It involves consumers sharing opinions and recommendations about a product or service. This usually occurs when consumers are so pleased with a company’s offerings that they become brand advocates and tell all of their friends, family, and followers to proudly support the brand. 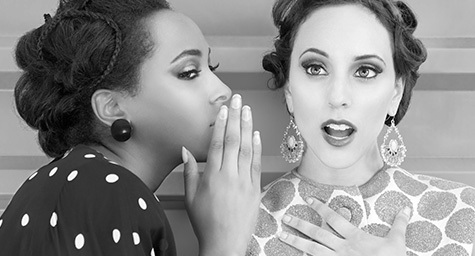 Research shows that 92% of consumers trust recommendations from their family and friends more than any other form of marketing, and that 50% of purchases are influenced by word of mouth. The reason it’s so effective is because it’s so honest. Now that you know the differences among all of these types of marketing, go use them to their fullest potential to maximize your marketing. Leverage powerful advertising strategies for smarter marketing. Contact MDG Advertising.